Visit the NASA Education website. You'll discover a wealth of information including a list of current opportunities; education related feature stories; and contact information for project representatives. Learn from NASA experts in free Web conferences. Welcome to the Space Life Sciences education website! 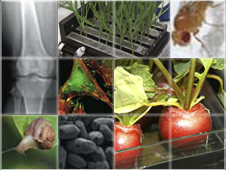 Here you will find resources on living organisms in the space environment. Visit the topic sections for more information, and return to the website often for news on space life sciences research. 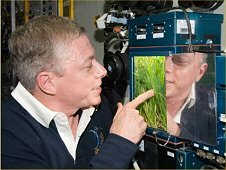 Look for NASA space life sciences articles on the space station News and Features page. NASA posts weekly highlights about science on the space station. Follow the latest research being conducted on the International Space Station. Space Station Research Blog "A Lab Aloft"
Guest bloggers post updates about what's happening on the space station.